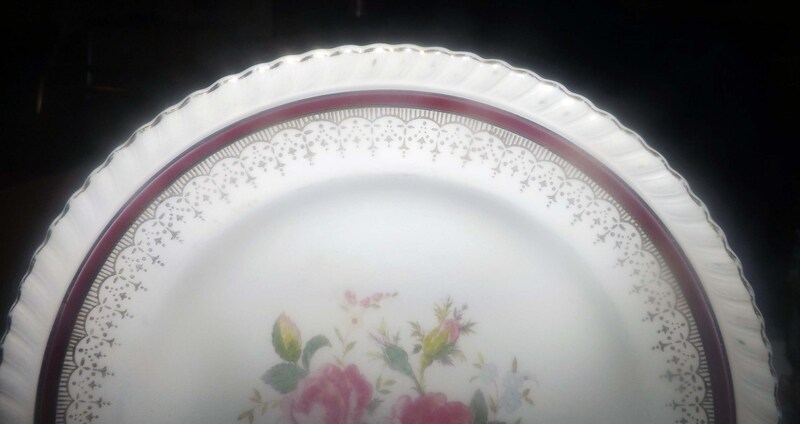 Early mid-century (1940s) Johnson Brothers JB334 pattern salad or side plate. Maroon band, gold filigree, central florals. Pareek ironstone. 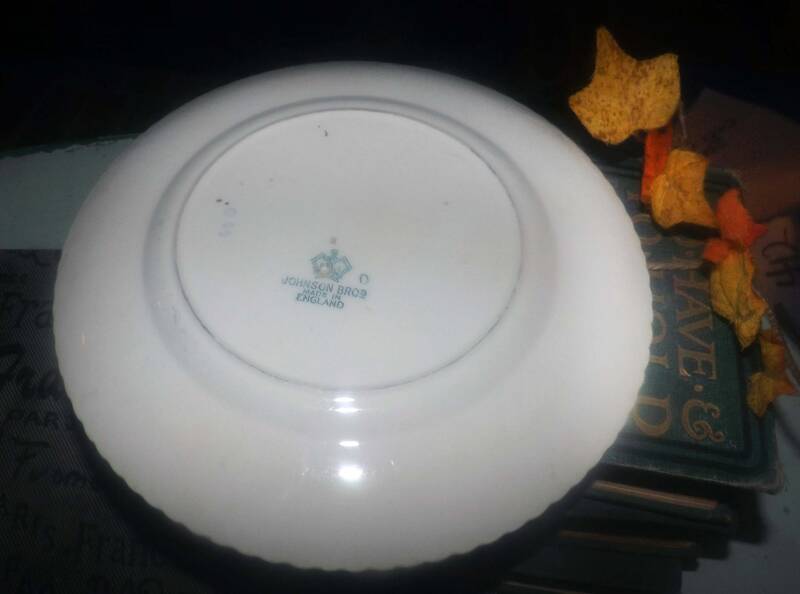 Early mid-century (1940s) Johnson Brothers JB334 salad or side plate. 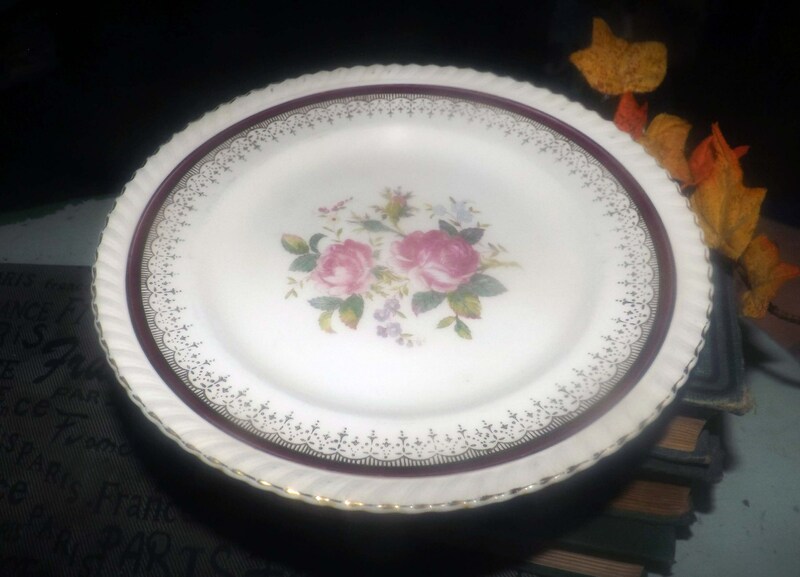 Deep maroon band, gold filigree and edge with multicolored center florals. 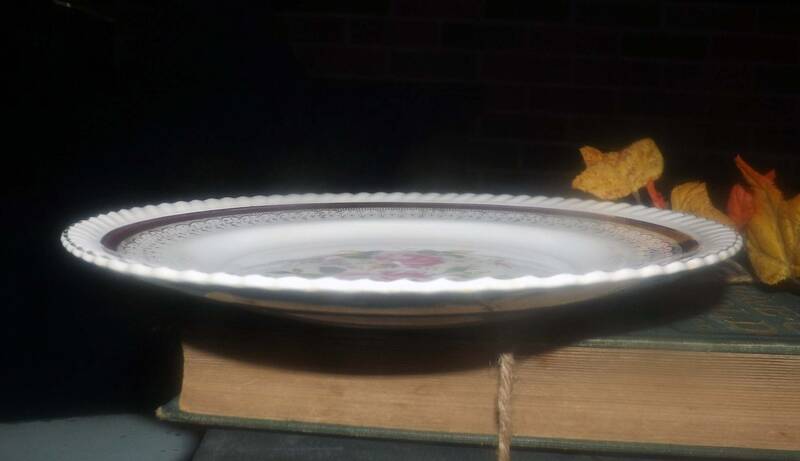 Part of Johnson Brothers' Pareek line of ironstone, this plate is in EXCELLENT! condition with NO! chips, nicks, cracks or fleabites, LITTLE TO NO! loss to the gold edge or inset gold filigree, MINIMAL! crazing and NO! marks or stains. The center florals are bright and vivid with only MINOR! fading apparent (please review each of the posted photos for a complete visual of the item). 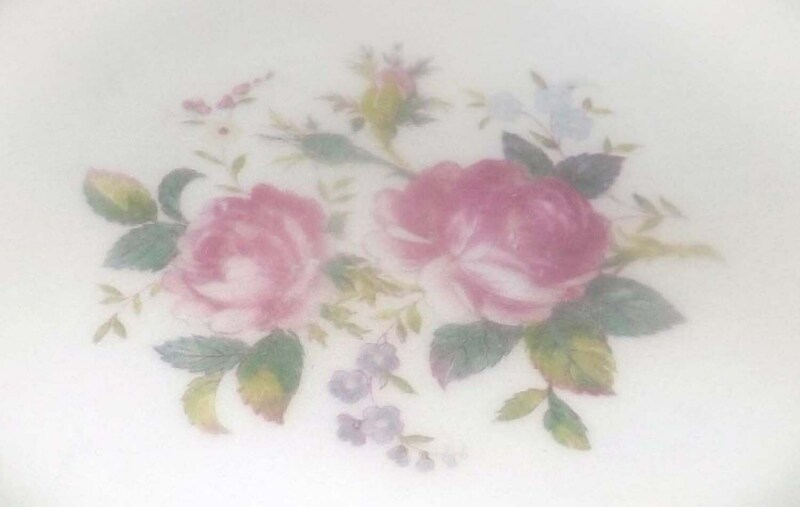 Very luxurious old Johnson Brothers pattern that makes for an impressive and lavish table setting. 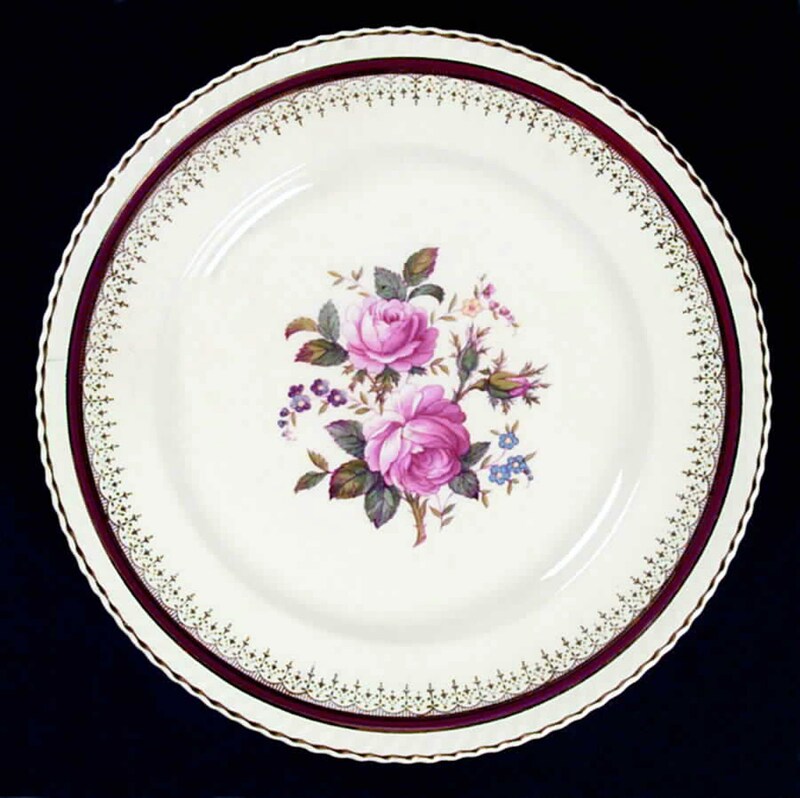 Approximate measurements: 8" in diameter with a scalloped, embossed and gilded edge.